Almost a painting in the Men in Conversation series, except there’s only one man in the painting and he’s not talking to anybody. 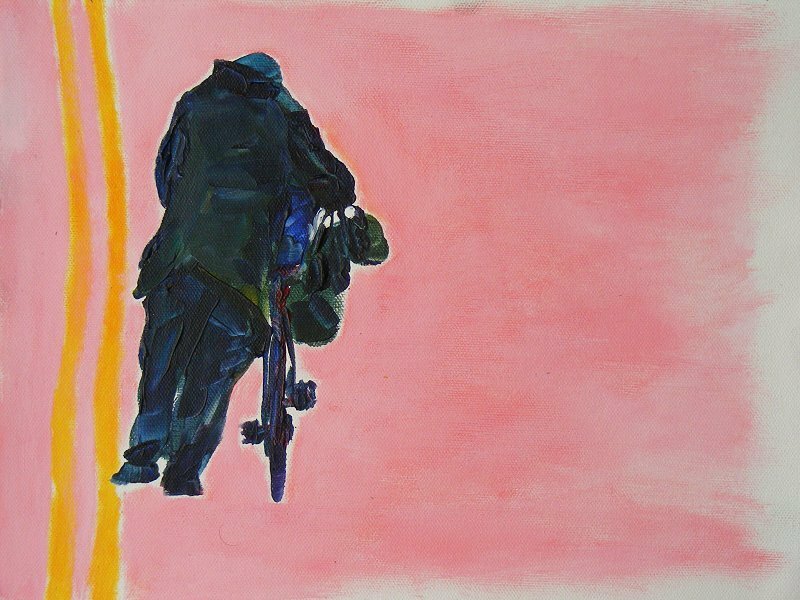 It was in town, Dublin city centre, that I saw this man, wheeling his bags on his bike up Arbour Hill - but perhaps you’ve seen him too. Man, Bicycle, Bags is painted on unstretched canvas.